Former players on the FC Barcelona coaching team. Here they are, either coaching or in the offices. 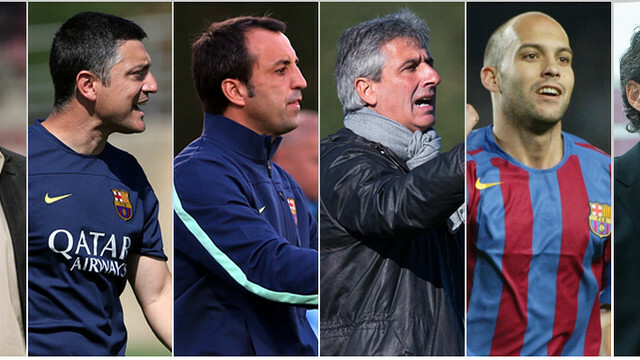 Six former Barça players are now at the Club as coaches, and three more in a technical capacity.